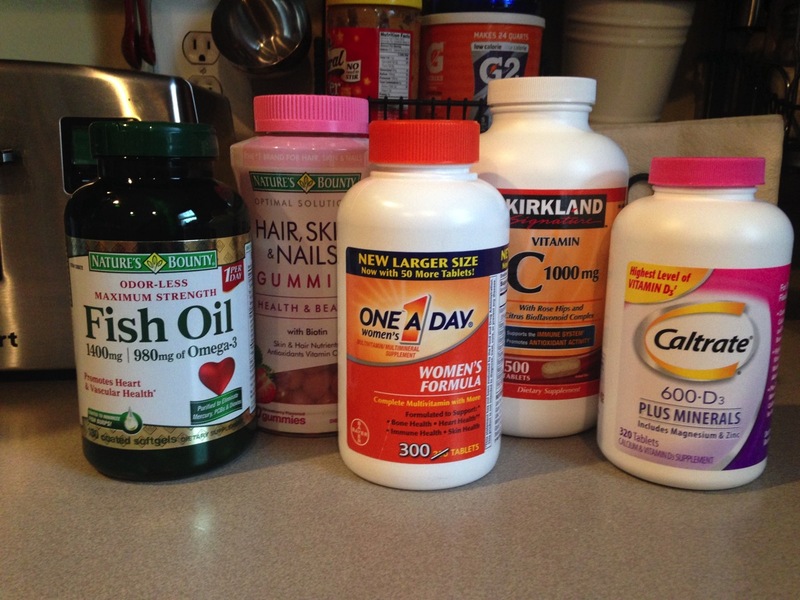 Women’s One-A-Day: I figure this is a general, all-in-one daily vitamin. Caltrate with vitamin D: I’ve historically been low in vitamin D, as is a lot of the US population. But for some reason my oncologist was really concerned with this and at one point put me on high dose vitamin D. Caltrate was something she suggested as a maintenance vitamin. So I figure I’ll try to keep up with it so my vitamin D levels don’t drop again. Plus I need the calcium so I don’t get osteoporosis, right? Vitamin C: I did go through one winter taking vitamin C pretty regularly, and I felt like it really kept up my immunity and I didn’t get sick much that winter. So I’ll continue to take that daily so I don’t get sick. I ain’t got time for that. Fish Oil: I’ve been reading many, many benefits of adding a fish oil supplement and my husband just so happened to have some, so I’ve added that to my daily pill organizer. It seems to help with everything from cancer prevention to joint pain to skin care and stress. So that’s what’s in my pill box. What’s in yours? Organize those pills with roadeavour!